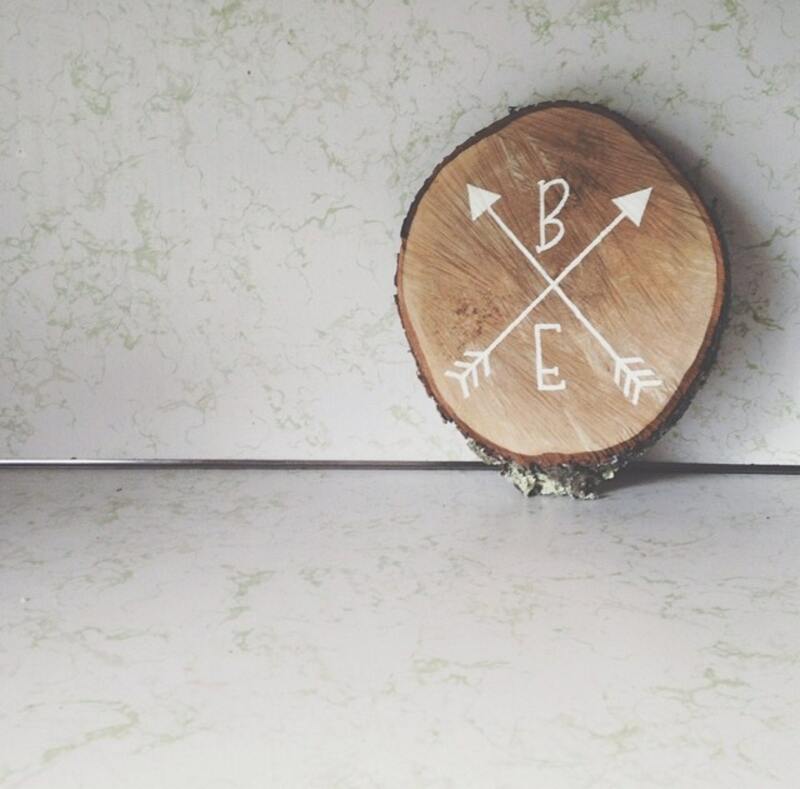 Consider this personalized wood sign to be the perfect wedding gift for your favorite couple! It would look beautiful displayed as part of your wedding decor as well. 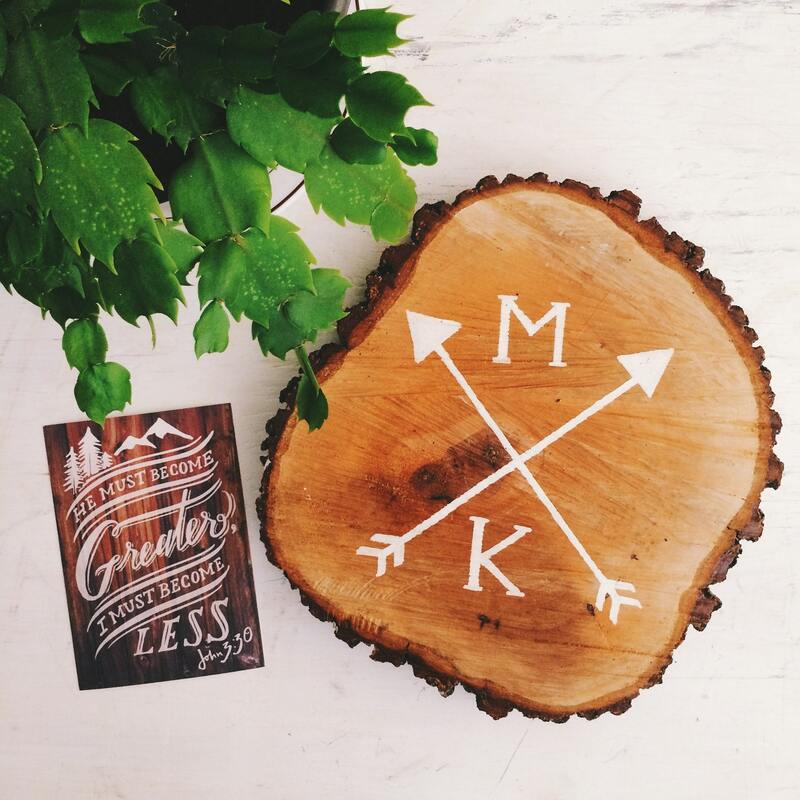 Created on a rough cut, responsibly sourced (on my families farm) oak tree slice, this rustic sign is a unique take on the classic monogram! I hand paint two crossed arrows in white acrylic, and then letter up to four initials of your choosing in space in between. Wedding gifts, anniversaries, baby showers, birthdays - this one of a kind piece makes the perfect gift for so many different occasions. The finished design is sealed with a matte varnish to maintain the rustic look and the back is drilled to allow for hanging on the wall. 12in diameter by 1.5in thick roughly- no two slices will be exactly the same, that's part of the beauty and uniqueness of these signs. 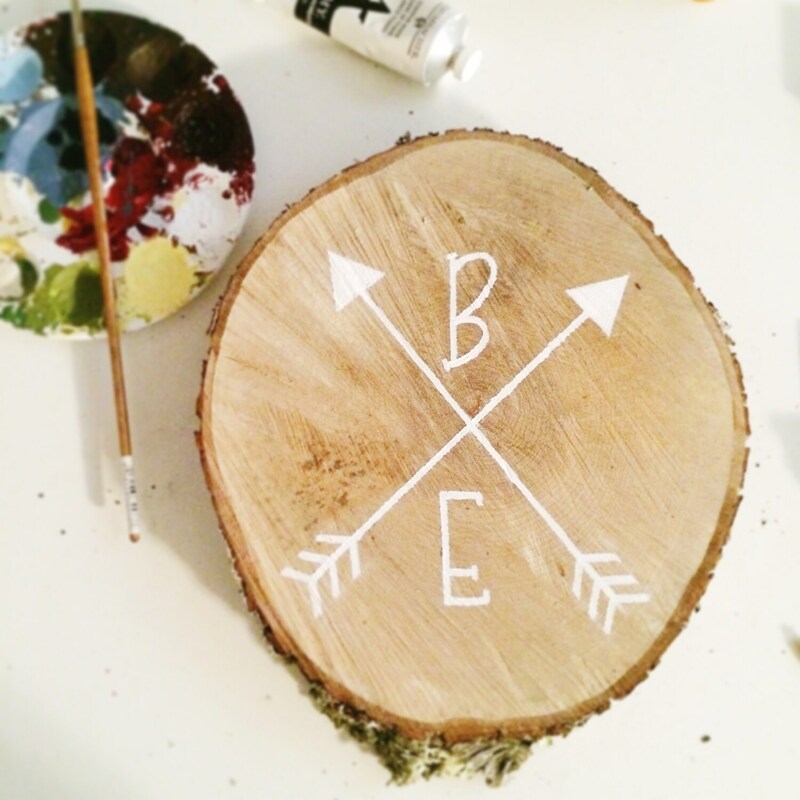 Your sign will be completely one of a kind, just like the couple or family it represents! !